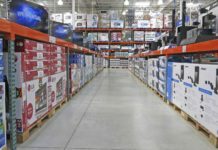 According to projections by the Congressional Budget Office (CBO), America will continue to spend more than it receives in revenues from 2016 to 2026, and perhaps beyond. The budget deficit is projected to be slightly below 3% of gross domestic product (GDP) through 2018, then rise to 4.9% by 2026. Higher interest rates – averaging 2.3% in 2014 and 2015, as reported by TreasuryDirect – on an increasing amount of debt are likely to cause a “crowding out” effect, according to the Federal Reserve Bank of St. Louis. As the Federal Government borrows more money to pay its bills, there is less capital available for the private sector. Many believe that the CBO’s concern is understated. In his testimony before the United States Senate Budget Committee February 25, 2015, economist Dr. Laurence J. Kotlikoff of Boston University bluntly stated, “Our country is broke. It’s not broke in 75 years or 50 years or 25 years or 10 years. It’s broke today. Indeed, it may well be in worse fiscal shape than any developed country, including Greece.” Kotlikoff claims that Congress has “cooked the books” for years, and that the difference between the present value of all projected future government expenditures less the present value of all projected future receipts was actually $210 trillion in 2014, more than 16 times the actual reported debt. Whether or not economists agree on the appropriate level of the federal debt, there is agreement that the only way to reduce annual deficits and pay down the debt is for the government to collect more than it spends – an unlikely (if not impossible) result in today’s political atmosphere. 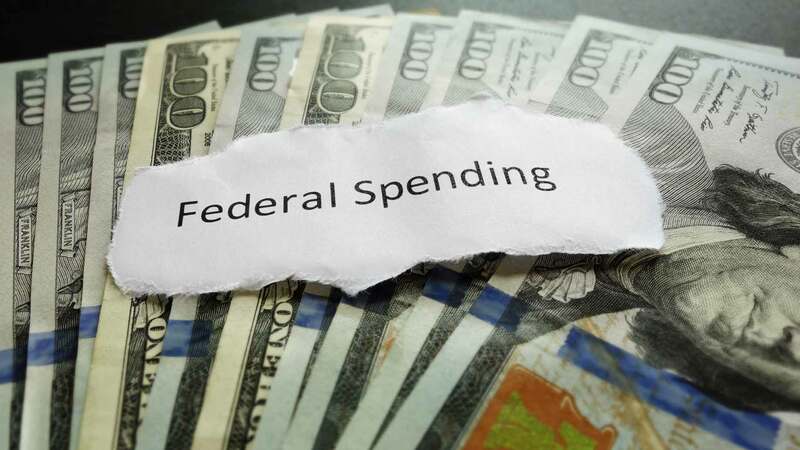 Only six times between 1960 and 2015 has the Federal Government spent less than it collected, according to the Office of Management and Budget. Most recently, in 2015, the Federal Government collected $3.25 trillion in taxes, almost 60% from income taxes, while spending $3.69 trillion. As a result, the budget deficit of $439 billion – the lowest deficit since 2008 – was added to the federal debt. Politicians regularly suggest that the deficit problem can be resolved as the economy improves because revenues through taxes naturally increase as incomes rise through stronger growth. Such thinking encourages postponing actions that are politically unpopular, such as raising taxes or cutting popular programs. GDP Growth Is Projected to Be Lower Than in the Past. According to the CBO’s Budget and Economic Data, annual growth averaged 3.2% to 3.3% from 1974 to 2001, 2.7% from 2002 to 2007, and 1.4% from 2008 to 2015. While the economy is recovering, the CBO projects average annual growth from 2016 to 2025 at 2.0%, well below the average prior to 2008. Widening Income Disparity Threatens Economic Growth. The trickle-down theory was discredited by a 2015 International Monetary Fund report, which indicated that when the rich get richer, no others benefit and growth slows. The data from more than 150 nations suggests that when the richest 20% of a society increases their income by 1%, the annual rate of GDP growth shrinks by nearly 0.1% within five years. Costs for the Major Entitlement Programs Will Rise Sharply. The aging population, rising healthcare costs per person, and increased costs of the Affordable Care Act are likely to boost federal spending for Social Security, Medicare, and Medicaid if current laws remain unchanged. As Kotlikoff testified, the estimated 76 million members of the Baby Boomer generation are already entering a period where each recipient will collect “$40,000 in Social Security, Medicare, and Medicaid benefits each year.” As a consequence, the largest group of people to put money into the system – the Boomers – will begin taking it out. Left unchanged, Social Security will begin using its surplus funds to pay benefits in 2017 and deplete reserves by 2034. Interest Costs on Federal Debt Will Triple in the Next 10 Years. 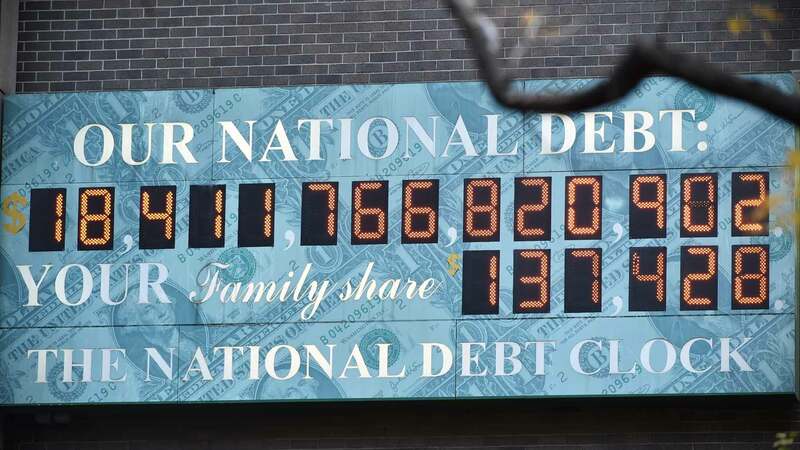 According to CBO projections, net interest costs for the federal debt are projected to more than triple from $223 billion in 2015 to $772 billion in 2025. Projections Do Not Include the Costs of New Wars for Defense Against Terrorism. The Watson Institute of Brown University estimates the costs to date of the wars in Afghanistan, Pakistan, and Iraq at $4.4 trillion, all of which were funded by borrowing. Some analysts estimate the costs of the three wars even higher. The cost of future defense is unknown, but likely to be as high as – if not higher than – past wars. For years, Americans have mortgaged their future by failing to make hard choices about taxes and spending. Continuing to delay intensifies the country’s debt problems and its impact on day-to-day life. In November 2014, the CBO issued a report analyzing 79 options that lawmakers could take to reduce the annual deficit and national debt. Their options echoed the recommendations of the bipartisan Simpson-Bowles Commission that combined deep cuts in military and domestic spending, reduced or ended popular tax breaks, and significantly changed the entitlement programs of Social Security and Medicare. Their suggestions included revenue increases, as well as spending reductions. Recognizing that a politically acceptable solution must include a combination of tax increases as well as spending cuts, the CBO recommended the following measures to increase federal revenues. Implementing all of these measures would add more than $606 billion annually to federal revenues. No one likes tax increases when the increase applies to their income. As a consequence, tax increases are so toxic for politicians that a pledge to never raise taxes “has become practically required for Republicans seeking office, and is a necessity for Democrats running in Republican districts,” according to Grover Norquist’s Americans for Tax Reform. Nevertheless, any politically acceptable solution requires a combination of increased revenues and lower spending. Raise All Tax Rates on Ordinary Income by 1%. Each of the seven statutory tax rates – 10%, 15%, 25%, 28%, 33%, 35%, and 39.6% – would be raised 1%, producing an additional estimated $689 billion in revenues. Implement a New Minimum Tax on Adjusted Gross Incomes (AGI) for Taxpayers Exceeding $1 Million in AGI. This option would impose a new minimum tax equal to 30% for taxpayers with AGI above $1 million. They would also receive a credit equal to 28% of their charitable contributions. The new tax would add an estimated $66.1 billion to federal revenues. Increase Tax Rate on Long-Term Capital Gains and Dividends by 2%. This change would add $52.9 billion to federal revenues between 2015 and 2024. Include Foreign Income in Taxable Income. U.S. citizens living outside the country can exclude $200,000 from taxation, even if they pay no taxes to the country in which they live. While the change would continue the deduction for taxes paid to foreign governments, it would ensure tax parity with U.S. citizens and contribute an additional $96.2 billion in revenues in the first 10 years. Tax Social Security Benefits. This change would treat Social Security benefits similarly to the way defined benefit pensions are taxed and add an additional $412 billion to federal revenues in the first 10 years. Increase Corporate Taxes by 1%. While the highest tax bracket is 35% for corporate income above $10 million, the effective rate is much lower due to tax credits and the lower taxes that apply to income below the $10 million threshold. This option would increase all corporate tax brackets by 1% and add and estimated $102 billion in revenues through 2024. Increase Excise Taxes on Fuel to 35 Cents per Gallon. Currently, federal excise tax on a gallon of gasoline is 18.4 cents and 24.4 cents for a gallon of diesel fuel. These rates were established in 1993 when crude oil prices were $16.75 per barrel; oil prices reached over $140 per barrel in 2008 and have fallen to the mid-$30 range since. This increase would add $469 billion to the Highway Trust Fund to pay for infrastructure upgrades and mass transit over the next decade. Tax preferences are controversial, since an incentive to one party is a loophole to another. Historically, preferences – deductions and credits – have been used for tax relief or encouragement to make certain investments for the social good. According to the independent tax research organization Tax Foundation, the total cost of preference items in 2015 was $1.339 trillion – $131 billion for corporations and $1.208 trillion for individuals. Eliminating or reducing some of the preferences can significantly increase federal revenues. Convert Mortgage Interest Deduction With a 15% Tax Credit. The option would be phased in over a six-year period. The maximum interest deduction – $1 million currently – would be reduced $100,000 for each year with a 15% credit based upon $500,000 maximum mortgage debt becoming effective in 2020. Additional revenues through 2024 would be $113 billion. Eliminate Deduction for State and Local Taxes. The value of certain itemized deductions including state and local taxes would be reduced for taxpayers above a specified threshold of AGI. Revenues accruing to the Fed are estimated to be $1.088 trillion through 2024. Reduce Deductions for Charitable Giving. Only contributions above 2% of AGI would be deductible for taxpayers who itemize and higher-income tax payers would be further restricted. The additional taxes paid through 2024 are estimated at $213 billion. Limit Itemized Deductions for Individuals. This proposal would limit the tax benefits of itemized deductions to 28% of their total value and add an additional $139 billion to the revenues through 2024. Limit Annual Contributions to Retirement Plans. An individual’s maximum allowable contribution would be limited to $5,000 for IRAs and $15,500 for 401k-type plans annually, regardless of the contributor’s age. Total defined contribution plan limits for employee and employer would be reduced to $47,000 annually. This change would result in additional revenues of $82.5 billion through 2024. Eliminate Percentage Depletion Allowance for Extractive Industries. The use of cost depletion for recovery of investment costs would remain intact, but percentage depletion would be eliminated. This change would provide an estimated $21.3 billion over the next 10 years. Eliminate Tax Preferences for Education Expenses. This suggested change would eliminate the American Opportunity Tax Credit (AOTC) and the Lifetime Learning tax credit while canceling the reinstatement of the Hope tax credit. Maximum deductibility of interest expenses for student loans would be reduced in annual increments of $250 over the next 10 years. This option would add $150 billion in revenues through 2024. A majority of Americans favor a deficit-cutting strategy that increases government revenues and cuts government expenditures. Unfortunately, legislators have shown little interest and less action in tackling the issues. 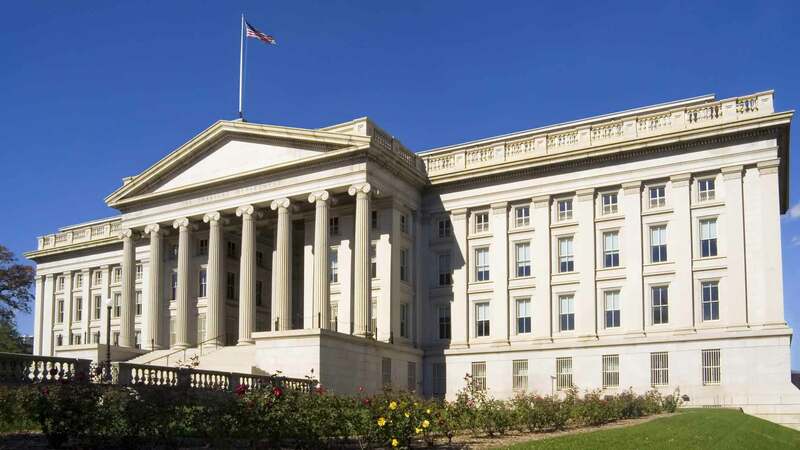 Ultimately, the political stalemates have been resolved by temporarily raising the debt ceiling without any meaningful change in our fiscal approach. Reduce or Eliminate Benefits for Lower-Income Beneficiaries. This would be achieved by a combination of reducing benefits to lower levels and raising the level of income required to participate in the Supplemental Nutrition Assistance Program (SNAP). Other measures include eliminating subsidies for meals served in the National Lunch and School Breakfast Programs for those families who earn more than 185% of federal poverty guidelines as well as eliminating Supplemental Security Income benefits for children. The estimated average annual savings would be $53.5 billion. Reduce or Eliminate Subsidized Loans, Including Pell Grants, for Undergraduate College Students. The grants would also be restricted to the most needy students. These measures would reduce spending over 10 years approximately $114.4 billion. Reduce Disabled Veteran Benefits. The recommendation would produce approximately $15 billion in annual savings. Reduce Federal Pensions for Government Employees and Military Personnel. Estimated savings would be $600 million per year. Cap Basic Pay for Military Service Members. The recommendation also includes substituting civilian employees for Armed Service members to generate 10-year savings of $24 billion. Eliminate or Reduce Defense Programs. Recommendations include canceling the purchase of the new F-35 Joint Strike Fighters and using advanced versions of fighter aircraft already being used. In addition, the government would stop building new aircraft carriers, reduce the number of ballistic missile submarines, and defer development of a new long-range bomber. The annual spending reduction is estimated to be $8.4 billion. Eliminate Space Exploration Programs. Halting programs like the Mars Exploration Program would save $7 billion each year. Reduce the Number of Government Employees. Limiting replacement personnel to no more than one employee for every three workers who leave and reducing the annual across-the-board adjustment for civilian employees would save an estimated $10.3 billion annually. Reduce Highway Funding and Eliminate Grants and Subsidies to Airports, Amtrak, and Transit Systems. Projected spending would fall by an estimated $10.4 billion yearly. Repeal the Davis-Bacon Act. This legislation requires employers to pay workers on federal projects the prevailing wage for workers with similar duties and responsibilities in the region. Repealing the Act would mean that workers on federal projects are paid lower wages and would save about $1.2 billion per year. If all the spending reductions proposed by the CBO were implemented, the total reduction would be approximately $220 to 240 billion annually, or about 55% of the 2015 deficit. Increase Earnings Limit for Social Security Payroll Tax. Currently, only $117,000 of earnings are subject to the tax. Raising the amount subject to tax to $241,600 and indexing it to inflation would add $687 billion to the Social Security Trust Fund. Raise the Full Retirement Age for Social Security Benefits. The current retirement age for those born in 1960 or later is 67. Raising the age to 70 over a six-year period would save $35 billion in expenditures through 2024. Link Initial Social Security Benefits to Average Prices. Calculating the benefits based upon growth in the Consumer Price Index rather than the growth in wages – the current method – would reduce annual expenditures by approximately $8.6 billion. Reduce Benefits for Future Social Security Beneficiaries 15%. Only those people who turn 62 after January 2016 would be affected. Estimated 10-year savings are $204 billion. Change the Cost of Living Adjustment (COLA) Index for Social Security. Replacing the traditional CPI measure with the “chained” CPI can reduce Social Security payments between 2016 and 2026 by $116.4 billion. Increase Medicare Payroll Tax Rate to 3.9% of Payroll. Adding 1% to the current tax rate of 2.9% would raise an estimated $800 billion between 2016 and 2026. The new tax increase would be shared equally between employee and employer. The existing surtax of 0.9% of payroll applies to employees earning $200,000 and more can remain in place. Increase Premiums for Medicare Parts B and D. Current premiums are set at 25% of Part B costs per enrollee and 25.5% for Part D costs. Raising the premiums to 35% of cost would have increased premium revenues by $299 billion for the period 2014 to 2015. Raise the Federal Tax on Alcoholic Beverages and Cigarettes. The former would be raised to $16 per proof gallon (equivalent to about $0.25 per ounce) and another $0.50 per pack would be added to the excise tax on cigarettes. While these suggestions can increase government revenues, the primary intent is to reduce use of alcohol and tobacco, two substances that significantly affect the nation’s healthcare costs. Shift More Costs of Care to Medicare and Tricare Beneficiaries. Those affected would be almost 9.5 million active duty service members, National Guard and Reserve members, military retirees, and their families in the Department of Defense’s healthcare program. 10-year savings are estimated at $73 billion. Require Drug Manufacturers to Pay a Minimum Rebate of 23.1% for Drugs Supplied to Low-Income Medicare Part D Beneficiaries. Previously, the rebate was negotiated between private Part D plans and drug makers. If this recommendation is implemented, the rebate would be paid directly to Medicare. This change would add $103 billion to Medicare over 10 years. The solutions to excessive debt are apparent, though unpopular, and will require sacrifices on the part of everyone. 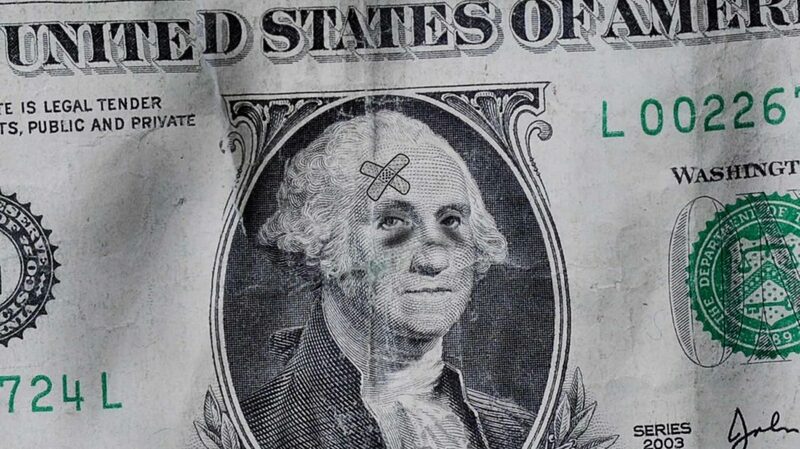 For generations, Americans have lived beyond their means. The bill has come due. Are you worried about the debt and its impact upon you, your children, or grandchildren?